Namkhai Nyingpo Rinpoche, the great Master and founder of Lhdrak Kharchhu Monastery, where several of our workshops, in Bumthang, Bhutan, will be held. He was recognized at a very young age, by H.H. the 14th Dalai Lama. His Holiness Namkhai Nyingpo will be in a long retreat in 2013. However, we are assured that, if he is in the Monastery in June, when our group will be at the Monastery, and not in retreat, that it is possible for blessings and spiritual talks. Namkhai Nyingpo’s lineage dates back to the nearest disciples of the 8th Century venerated Guru Rinpoche, who came to Bhutan from Tibet, on the back of a flying Tigress. 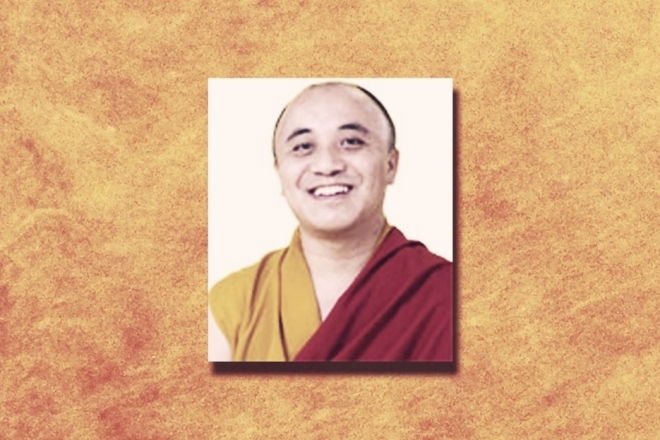 Namkhai Nyingpo has studied Buddha’s Dharma with many masters, and has received teachings and empowerment transmissions from the Four Major Schools of Tibetan Buddhism.